More than ever, we need to hold onto our guns and protect our Second Amendment rights. Liberals like to play up the danger of guns and constantly try to take a swipe at them everytime tragedy hits. With liberal media not helping the situation, it’s nice to know what the facts are and the Crime Report does just that. 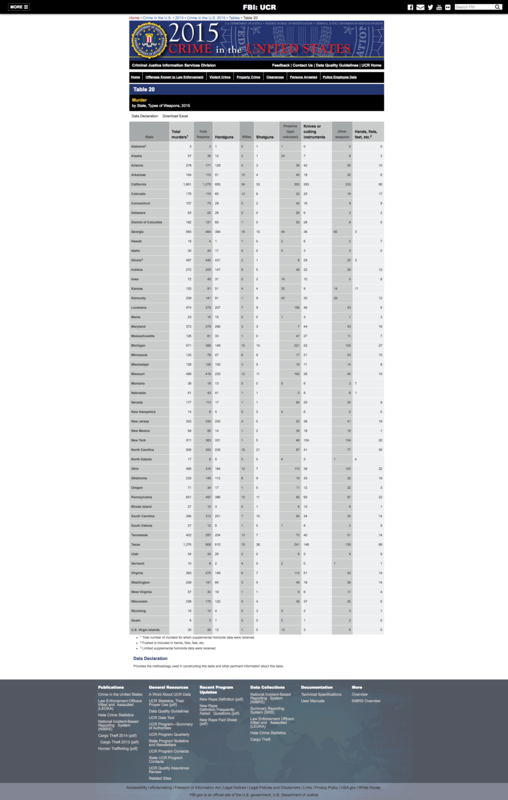 Gun control is clearly not the answer, you are more likely to be beat to death according to the FBI report. Furthermore, Breitbart found that twice as many people were bludgeoned to death than killed by rifles for the same year.